Is AT&T Holding Back iPhone’s Growth? iPhone has been very successful in the smartphone market since its launch. Apple has more than doubled its smartphone market share in past one year from just below 5 percent in 2008 to more than 10 percent today. iPhone 3GS launch last month has also been phenomenal. AT&T has gained a lot by iPhone’s success, for past eight quarters around 50 percent of all new subscribers coming to AT&T joined the network to get an iPhone. And because of the iPhone, AT&T’s data revenue has more than doubled in last one year and increased almost four times since iPhone’s launch in 2007. However, many industrial analysts are now arguing that AT&T might be holding back iPhone’s growth. According to the analysts, there are consumers who love the iPhone but don’t want to switch to AT&T, which is hindering iPhone exponential growth. Analysts believe that iPhone market share will explode if it was offered on other carriers in US. We think that it’s not the number of carriers that is slightly holding back iPhone’s growth, but quality and cost of service offered by AT&T. Let’s talk about cost first, BGR recently compared total cost of four popular smartphones offer by top four carriers. The comparison included cost of the handset, total cost over 24-month period for entry-level monthly plan and other charges like activation fees. T-Mobile G1 was the cheapest to own over a period of two year at total cost of $1,469.51 (however the voice plan gave just 300 minutes of talk time). Verizon’s BlackBerry Storm was in second place with total cost of $1,864.51 followed by iPhone 3GS on AT&T for $1,914.76 over two year. Sprint’s new Palm Pre was the costliest at $1,915.75 over two year, but Sprint offered unlimited SMS/MMS with the plan, which would require additional $20 per month on other carriers. Hardware wise iPhone 3GS is the best phone out of the four phones, it has new ARM Cortex A8 processor, higher RAM and up to 32GB of storage. But AT&T’s voice and data plans make it one of the costliest to own. 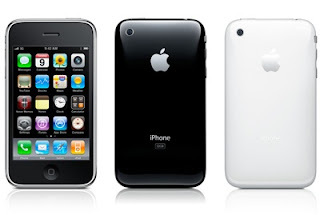 When first iPhone was released in 2007, AT&T offered $20 data plan that included 200 SMS and unlimited data. However, AT&T increased the cost of data plan when iPhone 3G was released last year to $30 and you were required to pay additional $5 for 200 SMS. If AT&T would have continued with the $20 data plan they would have made the iPhone best phone to own over the period of two year. People have complained about dropped calls and slower data connections since the iPhone 3G was launched last year. AT&T has said that in higher density areas the 3G connection can be slower because of the large number of iPhone users. But, if AT&T can’t solve the problem in more than one year, it is their fault. AT&T knows that they have high number of 3G data users so they should add more capacity to their network and should act fast. AT&T promises that it will start adding more capacity later this year by using 850MHz spectrum. The 850MHz update will be completed by 2011, won’t it be a bit to late? iPhone customers are increasing at exponential rate and the longer AT&T takes to address quality of wireless service issues, the higher will be number of unsatisfied (angry) customers.